Practical and elegant, the Back Cove Downeast 37 (42′ 6″ LOA, 13′ 3″ beam) is ready for on-the-water adventures. 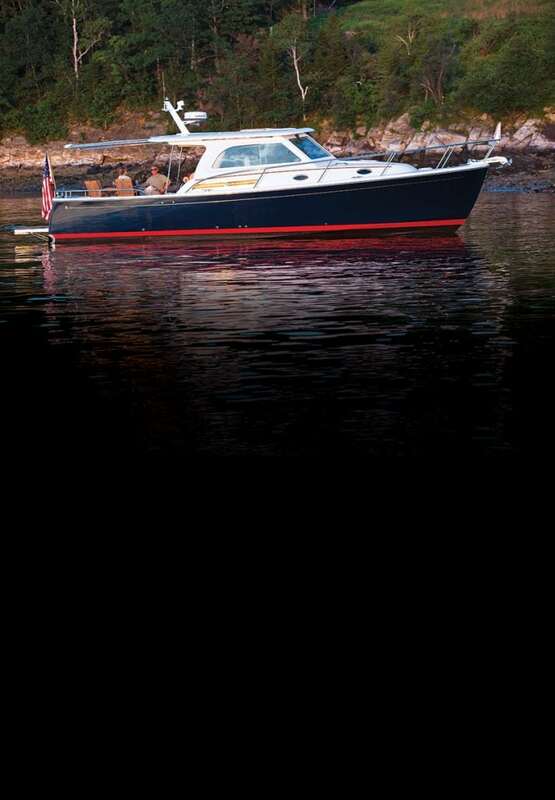 The Downeast 37 is built in the Herreshoff style with white panels and raised wooden trim. The master stateroom offers an island berth with steps on both sides for ease of access. Storage is plentiful with many lockers and drawers provided. At the base of the companionway and close to the helm is a functional galley with microwave oven, refrigerator, freezer, and deep sink. To starboard, aft of the master is a comfortably laid-out head with separate stall shower. The single-level helm deck and cockpit sole blend indoor and outdoor spaces. Convertible seating in the pilothouse is elevated so that everyone can enjoy the views. A retractable awning covers the open aft cockpit for shade and protection on bright days. Powered by twin Cummins 600-hp diesel engines, she tops out at 29.7 knots and cruises at 25.5 knots with a range of 304 nm. Return to the Downeast Boats Roundup.